Cameron Ross has been an associate attorney at Mullen & Filippi, LLP since 2018. 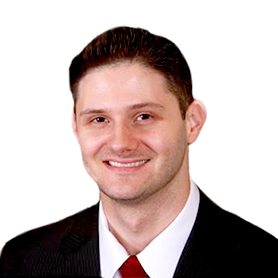 Cameron has been practicing law since 2014 and has experience in the areas of workers' compensation, probate, trusts, estates, criminal defense, personal injury, and civil rights. He represents employers, third-party administrators, and insurance carriers with respect to workers' compensation claims and related matters. Cameron received his Juris Doctor from Drivon School of Law in 2013. While in law school, he participated in the collaborative courts program as a certified law student. Prior to law school, he earned his Bachelor of Arts in Journalism from California State University Sacramento, where he also worked for the college newspaper, the State Hornet. Cameron is a member of the State Bar of California. He is also a member of the San Joaquin County Bar Association and a member of the Judge Consuelo M. Callahan Inn of Court. What I treasure most about practicing law are the humbling challenges. Social justice requires zealous representation for all, and a unique sense of logic is often required in order to prevail when the facts are stacked against your client. Outside of the office, I spend most of my free time enjoying the outdoors. My favorite pastime is indulging in nature. I particularly enjoy hiking and kayaking. Fresh air and breathtaking views compel me to march on in pursuit of my goals.